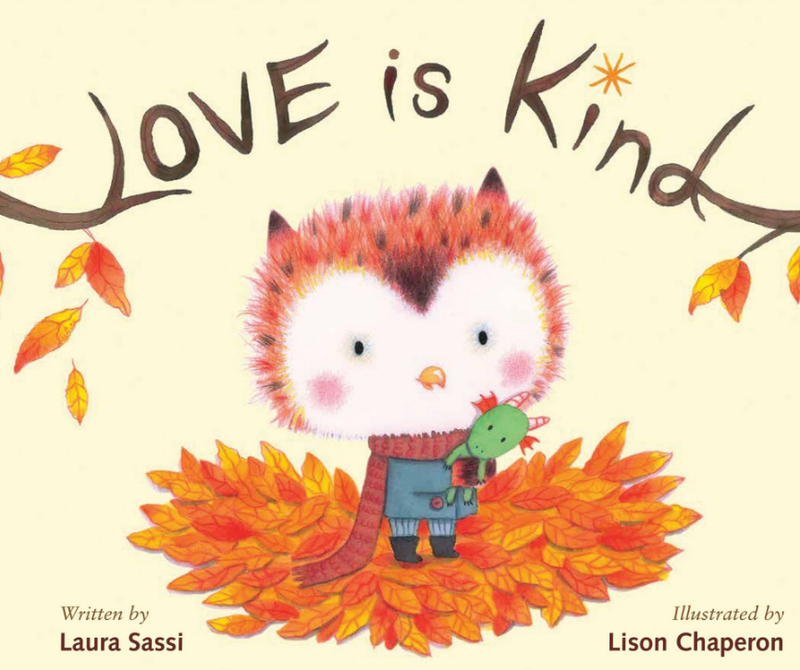 Author Laura Sassi has a new picture book titled, LOVE IS KIND. It is available now in bookstores. Laura has agreed to share a book with one lucky winner. All you have to do to get in the running is to leave a comment. Reblog, tweet, or talk about it on Facebook with a link and you will get additional chances to win. Just let me know the other things you do to share the good news, so I can put in the right amount of tickets in my basket for you. Sharing on Facebook, Twitter, reblogging really helps spread the word for a new book. Thanks for helping Laura! 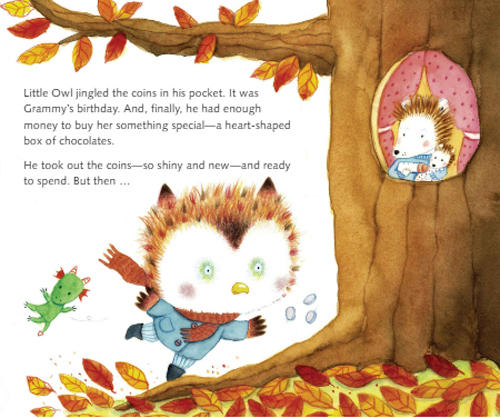 Love Is Kind is a heartwarming story about Little Owl who hopes to buy his grammy a heart-shaped box of chocolates for her birthday. On his quest for the chocolates, he’s thwarted at every turn, but ends up discovering the real meaning of love as described in 1 Corinthians 13. Told in simple prose by bestselling author Laura Sassi, this heartfelt and humorous picture book is a sweet reminder that real love isn’t found in a box – even one filled with chocolates. 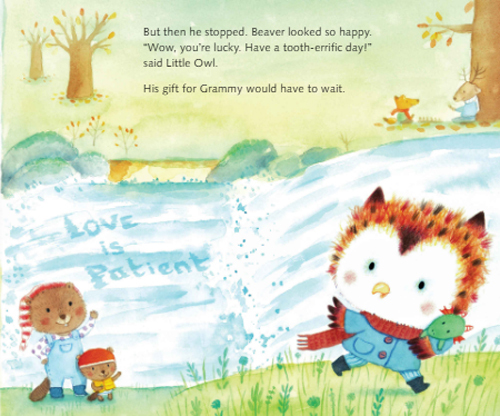 Love Is Kind takes a charming and gentle approach to teaching kids the true meaning of love, while celebrating the bonds that kids have with their grandparents, and the many forms that love and happiness can take. A wet and crumpled coupon. Some “found” money. A tooth fairy who forgot to leave money. A closed shop. These are just some of the real life incidents that sparked LOVE IS KIND, my newest picture book with Zonderkidz. Each incident evoked strong reactions in my kids and were followed by some good life lessons about patience, kindness, giving tooth fairies (and others) second chances etc. Each could have been crafted into picture books in their own right, but instead, I saved those sparks because I felt deep down they could and should be part of a bigger story. I just wasn’t sure quite yet, what the framework for that bigger story would be. Over the years, I kept returning to those snippets of inspiration, and actually wrote a very early draft of a story, but something seemed to be missing. It wasn’t until the summer of 2014, that I realized that 1 Corinthians 13 was the missing link. Let me explain. At our wedding a dear relative had given us a framed print of the famous passage from I Corinthians 13 which has since hung in every apartment and house we’ve lived in. Those framed words have helped me over the years to understand what real love is – patient, kind, slow to anger, truth-loving – a tall order and one not always easy to live by. Once our kids came along, I was constantly on the look out for concrete ways to show them just how varied and wonderful love can be. And then on that summer day it hit me that using those story snippets might be just the way to do it in picture book story form! The result? I Corinthians 13 became the framework for telling my story and LOVE IS KIND was born. And when you read it, you will see how illustrator Lison Chaperon has brilliantly woven the various “Love is…” phrases from the famous passage into the very fabric of each spread so that they parallel what’s happening in the story. She lives in New Jersey with her husband, two children, and a black Cockapoo named Sophie. 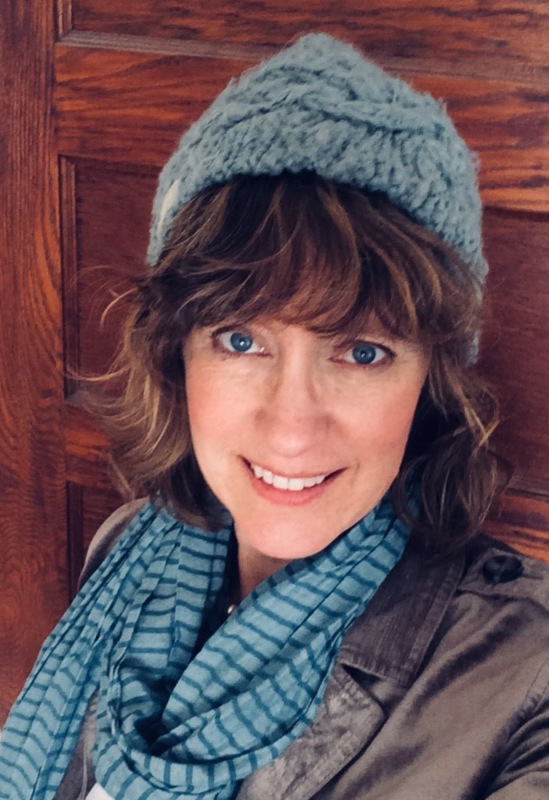 She is represented by Lara Perkins of the Andrea Brown Literary Agency. Laura, thank you for sharing your book and journey with us. It is always good to be reminded of the meaning of love. For those of you who would like to order this book, click here. What a fab book! Just LOVE Laura Sassi books ❤ Can't wait to add this to my collection along with Diva Delores. So adorable! I love Owl and the illustrations make me want to be a part of his world! Laura’s book is wonderful! I already have a copy and I think everyone should! xo Spreading kindness is the best thing ever! I love this book! So sweet. This sounds like a wonderful gem to add to my book collection. I love the message. Can’t wait to read it. Thanks for sharing! Congratulations to Laura! Love is Kind sounds like a wonderful book. Looking forward to reading it! Beautiful message, perfect illustrations – the characters sweet, a gentle feeling with a touch of vibrancy from the warm color palette. Thanks for sharing your journey. Thanks for this inspirational story behind the story. I look forward to reading it. That owl is adorable. I look forward to spending more time with this great story. I shared on Twitter (https://twitter.com/MariaMarshall_/status/1101284005230460928). This book looks so sweet! I can’t wait torrid it. Thanks for the post. What a sweet, timeless story, Laura. Congratulations! Beautiful message and adorable illustrations!